Insomnia, or the lack of sleep, may lead to medical and psychiatric conditions. In some cases, it is these medical and mental issues that actually cause sleep problems. But whether insomnia is the cause or the effect, difficulty sleeping is definitely a sign that something is wrong with your health. The National Sleep Foundation says that it’s always a good idea to have a general check-up with a health care provider if you have trouble getting regular sleep. It is important to determine if you have underlying health issues or sleep disorders because insomnia can affect the quality of your life. You have a condition called hyperthyroidism if you have an overactive thyroid. This occurs when there’s more production of a hormone called thyroxine in the thyroid gland. If your weight loss is sudden and you have two or more of these symptoms, it’s important to see a doctor for an assessment. Don’t forget to describe the changes you’ve noticed in your body to the doctor so that you can get the right diagnosis. What may be keeping you up at night are your concerns in life. Have you been going through something lately that’s causing a great deal of anxiety? Experts say that your mind can’t rest if you’re always anxious. 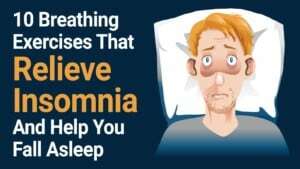 If your mind cannot rest then you’re likely to sleep lightly and develop insomnia. But the problem is that your sleeping brain cannot distinguish what’s happening compared to your waking brain. The neurotransmitters that send the signals in your brain won’t be able to cope with the threats that anxiety causes in your sleep. So, even if you think you’re making it through day by day with little or light sleep, it will eventually take its toll. You have to see a therapist as soon as possible in order to sort out your anxiety issues. You have to find positive coping mechanisms that help calm your mind when you’re going to bed. For some people, these coping tools may include meditation, light exercises, and other soothing activities. You lose the benefits of having deep sleep if your body can’t complete the REM phase of your sleep cycle. So, you wake up feeling more groggy and tired because your body didn’t actually get a good rest. Thus, creating a relaxing routine for bedtime may help regulate your sleep cycle. You must also avoid doing heavy physical workouts two hours before you go to bed. You won’t get a good night’s sleep no matter what you do if you’re suffering from acid reflux or heartburn. Diseases affecting the gastrointestinal tract can influence the quality of sleep because the acid contents from the stomach may rise back when you’re lying down the bed, according to the American Sleep Apnea Association. You’re standing or sitting during the daytime so acid reflux won’t have much impact. When you’re reclining, however, the stomach acid can’t be pushed down to your stomach so you end up having interrupted sleep with a burning sensation in your chest and a sour taste in your throat. It’s an unpleasant feeling, to say the least. There are over-the-counter medications to take care of this problem. You should see a doctor right away for the proper diagnosis or treatment. Apparently, 60 percent of patients with gastro issues suffer from sleep problems. Your bouts of insomnia might be related to your eating habits. If you have an irregular dinner schedule and you suddenly ate earlier, say between 5 p.m. to 6 p.m., then by 2 a.m. your brain triggers your body to demand fuel or food. You get these hunger pangs because of a hormonal imbalance. This, once again, highlights the importance of having a routine so that you can be assured of a good rest. Try as much as possible not to mess with your dinner times so that it won’t also ruin your sleep cycle. Do you know that coffee takes an average of eight to 10 hours to be completely eliminated in the body? If you drink a cup or two early in the day, at least 75 percent of it will be gone by the time you go home for dinner. But if you drink coffee in the afternoon or less than six hours before you go to bed, then you may have problems getting decent sleep at night. Since caffeine is a stimulant, it can impede your sleep routine. Ironically, if you’re trying to cut down on the coffee drinking, you might also experience insomnia since your body will go through withdrawal as an automatic response. You may also experience increased heart rate, headaches, and jitters that could impact your sleeping patterns. But be patient as you get through the withdrawal stage. It’s much more positive to restore your sleep quality than continue to suffer from the effects of insomnia. When you suffer from insomnia, your eyes turn puffy and the skin around it appears darker. This happens because sleep deprivation triggers your body to work double time to bring oxygen to your vital organs to prevent a breakdown, according to the experts via Telegraph. But in doing so, your body doesn’t draw enough oxygen to the skin. So, in due time, the skin around your eyes grows darker because of the deoxygenated blood that flows through it. The dark circles also become more obvious because the skin around the eyes is thin. Insomnia can lead to the deterioration of your cognitive function. You lose the ability to concentrate on a task. You also experience slow mental processing that could impact your ability to make decisions or solve problems. The lack of sleep will dumb you down and affect your efficiency at work. You’ll be less sharp, less focused, and less alert. You won’t be able to grasp instructions or reason and state your case well because your cognition is impaired. If you work at a high-risk job, where accuracy, vigilance, and safety are important, being an insomniac can definitely matter to your performance. A faulty brain function puts you and the people around you at risk. Thus, you need to see a doctor before you create a major blunder or accident that may hurt someone. Long-term insomnia that’s not addressed or treated can lead to memory loss. This is because the lack of sleep doesn’t give your brain the chance to recover, recoup, and organize itself. There have been studies showing the improvement of memory recall following a night of good sleep. So, don’t delay finding a positive and doable solution to this problem. Do you always catch a cold or cough? Are you always the first one holed up in the bedroom during flu season? If you’re an insomniac, you’ll often find yourself with colds, cough, and fever because your body’s defenses against virus and bacteria are low. A prolonged state of sleep deprivation is a lot similar to your body experiencing high levels of stress. 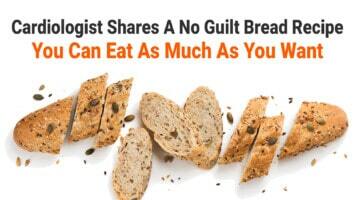 As a result, your body’s immunities lower so you’re more vulnerable to getting sick. Good sleep helps your body produce proteins called cytokines that help with infection and inflammation. 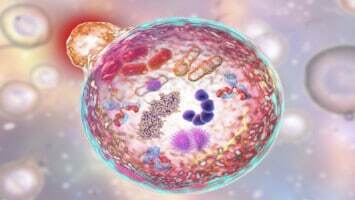 When you’re not sleeping well, however, the level of this protein in your body drops so your antibodies weaken. Your lifestyle plays a vital role in how you stay healthy. Perhaps the reason you’re having insomnia is that you don’t slow down from your activities even when you’re in bed. You also don’t make it a point to create a healthy environment for sleeping. Do you still use gadgets minutes before you shut your eyes? Studies have proven that this habit can disrupt your sleep cycle. Is your bedroom too messy or overly warm? The physical conditions around you can impact the quality of your sleep. Make an effort to have a healthy routine and sleep conditions and see how much difference it will make in your sleep patterns. Don’t get used to the disorder and dysfunction; instead, listen to the signs your body is telling you. People spend nearly more than a fourth of their lives in bed but most don’t really make an effort to make their sleep quality count. If you make positive changes to how you sleep, you should see improvements right away if you’re suffering from acute insomnia. 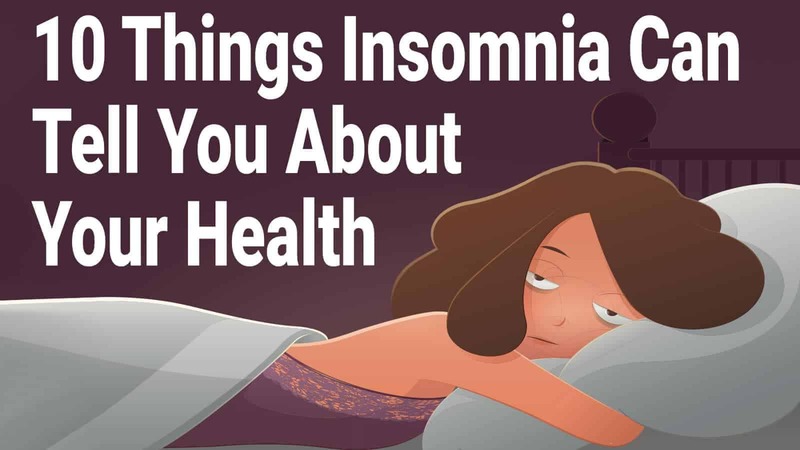 But if your insomnia still lingers for weeks and months, you need to get a proper medical diagnosis for the disorder that’s really ailing you. There are individuals who don’t actually know that they’re not getting good sleep or suffering from insomnia. For this reason, a visit to the doctor or a specialist will be a big help.